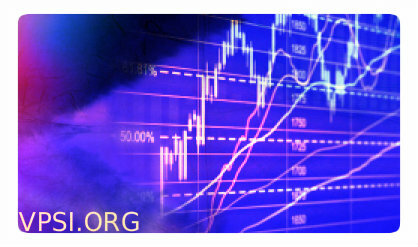 Currency trading has become a popular sport in the financial markets worldwide. It is a complex and competitive market. If you are just starting to look at this as a possible venture you will need to start with currency trading basics. Rest assured that simply understanding the basics is not going to help you make money in the market, it is purely a place to start. The currency market has gained popularity because it is the largest financial market in the world. It is estimated that over $5 trillion is traded every day. This is a huge volume compared to any other financial market in the world. It is so large because globalization of economies initially necessitated higher volume. However, speculation soon caused the trading volume to explode. The higher volume makes trading easier because there is always a ready buyer or seller. Currencies trade 24 hours a day somewhere in the world. This takes place 5 days a week. This factor alone has made market participation grow, because you can trade anytime of day or night that you want to during the week. You will be required to deposit only a small percentage of the money you will need to buy the currency. This is because leverage is used as a matter of course in currency trading. Your broker will lean you most of the capital for trading. This increases your exposure to risk. You must manage the risk so that you don’t get hurt by it. Essentially you trade one currency against another. Some of the most common pairs are the EURO/USD(euro/dollar),USD/CAD(US dollar/Canadian dollar), USD/JPY(dollar/yen), GBP/USD(pound/dollar) and USD/CHF(dollar/Swiss franc). The EURO/USD may be listed as 1.45. This means that to buy one euro it will cost $1.09. The currency named first in the pair is the currency being purchased(base), using the second currency(quote). If you think that the euro will move higher you can purchase the euro at $1.09. If you are correct hopefully you can sell it later at a higher price realizing a profit. Currencies trade usually in lots of 100,000. If you are trading the EUR/USD and your broker allows you to use 100:1 leverage, you will need $1,000 for each lot you trade. It doesn’t matter if a currency price is expected to move up or down. You can purchase the currency if you feel the base price will move higher. How do you determine which way the base currency price will move? Now we have to move beyond currency trading basics. Professional traders usually use two things to make their trading decisions. Technical analysis is one of those things. Technical analysis involves using charts to plot historic price movements. This is essence shows a picture of how prices have behaved in the past. Since every trader is watching the charts to determine price movements, history tends to repeat itself. Sometimes just hitting a certain point on the chart can cause massive buying or selling of the currency. Fundamental analysis is the other way trading decisions are made. Fundamentals are things like outside economic factors like interest rate changes or money supply changes. These two need to be used in combination in order to trade successfully. To develop the ‘trading instinct’ you must study the market until you can begin to see what causes price changes. If you can learn to recognize trends from the charts, this will help you make accurate trading decisions. Practicing for a while will help build your confidence and your skill. Just understanding currency trading basics will not be enough to prepare for a profitable career in the market. You must develop intense knowledge of how money is made in currencies before you begin. So you want to make a living from the Forex market? It isn’t easy, but it is definitely possible. Just look at people like George Soros. To make money on a large scale in the FOREX market, follow these currency trading tips. Number one, before you get involved in trading you need to become an expert. “Why?” you ask? Because those are the people you will be competing against in the market day after day. Currency trading is a complex and competitive venture, where one person wins and the other loses. It is a zero sum game, so preparation is the most important factor for reaching your goal of making large profits. Most novices look at the market activity and think, “I can do this easily.” They envision living on easy street with all the money they will make. Unless you are extremely lucky, the only way to reach the billionaire tycoon level is to become an expert trader. What does that involve? The first thing you need to do is become a student of the profession. Spend time with some of the top ranked books on the subject, like these. Learn the basics, learn the lingo and then study some more. After you have reached a level where you understand how the market operates you will be ready to climb to the next level. That next level is enrolling in a trading course that is taught be a professional trader. There is no better why to learn than from someone’s mistakes and their successes. Through a good trading course you will get first hand currency trading tips straight from someone who uses those tips himself/herself. This is a priceless experience. You will likely be able to do real-time mock trades in your course. Your instructor will give you direct feedback so you can understand why some trades worked and others failed. The next level is where you study, listen to and observe things that cause price changes in the market. Learn to develop your own trading strategies. When you are at a point where you can make accurate trading decisions you are ready for the next steps. One of the next currency trading tips after you have developed a bit of a trading instinct is to practice trading. Most brokers who support individual traders will have demo accounts that you can practice with. Brokers like easyforex also have free training videos like these, which are really solid. You will be able to familiarize yourself with the broker’s trading platform and you will be able to test your skills with real-time trading. These practice accounts are usually offered free so try two or three. When you have practiced for a bit and ironed-out some of the wrinkles in your trading style, you will be able to select which firm you prefer trading with and open an account. After you have funded it you are ready to join the real world of trading. Learn to use protective measures like stop-loss orders to limit your exposure to risk. If you do this successfully, you will be able to overcome some of the mistakes you make in the beginning of your trading career, and develop long term trading abilities. These are just a few currency trading tips, but they are the most important ones. If you are well prepared before you begin your chances of success are much higher. We want all our visitors to appreciate fully what leverage is and how it can benefit you in investing. So we have outlined below the formula and application of leverage to Forex and spot metals trading. The mathematical equation of leverage, force times distance was developed by Archimedes over 2300 years ago. Probably the most brilliant man who ever lived said “Give me a place to stand and I will move the earth.” This statement was made based on his understanding of the incredible power of leverage. His equation means that a small amount of force applied over a long distance is the same as a large amount of force applied over a small distance. Try thinking of leverage like this, a small investment (force) over a long time (distance) can make as much money as a large investment (force) over a short time (distance). If we borrow money with only part of the total as collateral from our business partners, we can borrow a large amount for very little cost and then invest it immediately in the spot market to make big returns in a short time. This allows us to use Archimedes equation to our advantage when trading currency, gold and silver. We are basically using a big stick to do more with small amounts of money over a short period of time. In this example, to make a profit on the Euro, say we have 200:1 leverage. So we invest $1,000 which leverages us $200,000. We then buy Euros at the current rate of exchange on the Forex market and wait until the Euro gains 1 penny in exchange for the U.S. dollar. This often occurs in less than an hour. Once it does, we just buy back our U.S. dollars. The profit is only one penny per dollar traded but because we leveraged $200,000 we made 200,000 pennies. A penny being 1% of a dollar we end up making $2,000 on our initial investment of $1,000 in an hour! Perhaps the best part of this is we get our initial $1,000 back and don’t even pay any interest on what we borrowed! That is the power of leverage when applied to investing in Forex. There are two basic ways to approach trading currencies online: you can do it manually or find a way to automate your trading. Which is better? In this article we explore the options available. 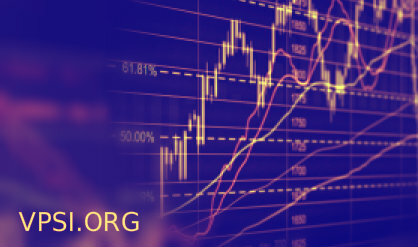 Manual Forex trading systems are completely discretionary and utilize tried and true strategies refined through years of trading experience, but unlike automated trading systems, they rely on the trader to actually follow the advice and strategies given. That’s often harder than it sounds. The 5EMA’s and Forex Rambo systems are good examples of this type of system. These systems work well for experienced traders who have been watching the charts for years and are well able to interpret the necessary signals and factors but it would not work for beginners. They provide the rules, strategies and formulas for successful trading, but leave the actual execution to the trader themselves. All traders are different and finding a Forex trading system that works for you is vital if you plan to stay in the game. Most people will tell you to watch the Forex news calendar and not trade during news releases – and this is good advice – as most of these trading systems don’t watch over the sudden movements and may or may not work the way you would want them to during these periods. Many traders use backtesting Forex software to check their systems going back several years but even so, the data might not be accurate or they are not able to adjust quickly enough in times of rapid volatility such as during economic or fiscal policy statements by key officials. A Forex trading system, especially automated Forex systems, needs to be well evaluated over time to assess its effectiveness as a total strategy. As a beginner it is costly to pay for high priced systems and lose your capital, so feedback from online communities etc is often very useful. Another factor is discipline and consistency. You must have a system which works consistently year after year. You may find a trading system that works quite well but then find out that you are not following the rules. Instead of waiting for the correct signal you may jump in suddenly. So when deciding which approach to take toward trading, be sure to test, test, test before entrusting yourself to one strategy or the other. You may find that automated trading is a good fit, especially if you tend to make emotional decisions. If you can be an absolute robot, however, then maintaining an active approach to account management is an option. Once you find something that works for you, stick with it. That’s how you become profitable month after month. Forex affiliate basics: What is technical analysis? Some newbies entering the Forex trading world may not be too familiar with technical analysis, even to the point of not knowing anything about it. Technical analysis is basically the process by which one tries to predict price movements in the future by studying past market data. In short, chart watching. If you’re going to promote Forex brokers as an affiliate, this is the kind of thing you should be familiar with if you hope to create a site that will generate sales from visitors looking for free Forex info. A lot of investors use this process not only to gain information on an investment’s price history but to also to see if they are buying at a reasonable price. Technical analysis does not include the study of moods, differing opinions but the study of all market fundamentals that are reflected in price data. In the Forex market there are things called signals, which are the patterns generated by price movements. The ultimate goal is to reveal the market’s signals by studying past market signals and this is possible because history often repeats itself. As a general feeling, most technical analysts think that price fluctuations and not erratic and can be predicted. In this way trends can come and go and as they usually last for a certain amount of time, they are possible at times to predict. Technical analysis is important for it can help add discipline to your trading whilst also lowering the amount of emotion, you have to be focused on your different trades, making sure that you treat each one the same with specific objectives in mind and with a sure lack of emotion. There are quite a few price charts that are useful for you to make sure your technical analysis is spot on. For instance Bar charts, which are the most common chart and show price action. Each different bar stands for a set period of time which can be as small as one minute or up to as long a few years. When using these charts, you will see a clear price pattern developed over periods of time. Candlestick charts show the highs, the lows and the opening and closing prices for the time period that it is representing. These charts show patterns which provide great visual detail as they develop. There are also point and figure charts which although resembling bar charts, are unlike them in that they use Xs and Os in order to mark the price direction, they also use no time scale. There are also 6 main technical indicator types, the first being Trend indicators, which smooth the price data out. This type of indicator makes sure that when there is a persistent up, down or sideways trend it can be seen clearly such as moving averages. Strength is the second indicator which describes the intensity of market outlook on specific prices. This is done by studying the market positions taken by different market contributors. The basic ingredients of strength indicators are volume or open interest. The third, Volatility relates to the scale of the day to day price variations. These changes in volatility tend to foresee the changes in prices. Cycle indicators point to all the repeating market patterns from regular events for instance elections or seasons and they establish the timing of certain market patterns. Support/Resistance is also an important indicator as it details all the price levels where the market has risen or fallen again and again and then reversed. This occurrence is due to the basic supply and demand. Momentum is the final indicator and determines the strength or weakness of a specific trend over a certain amount of time. This indicator is highest at the time a trend has just started and at its lowest when the trend changes. It indicates weakness when price and momentum are diverging. The end of movement in that direction is suggested when a price extreme occurs with weak momentum. However if, prices are flat alongside strong momentum it suggests a change in the price direction. Learn more about the forex market here. Money is an ever present fact of life; we need it in all aspects of our day to day lives, whether you are eating, drinking, dressing or a lot of the time paying bills. With the financial situation of the world being the way it is at the moment, many people have had to tighten their belts. Sometimes it is easier then others to cut down on how much we spend but unfortunately most of us cannot change the amounts we have to spend on bills. So to earn extra money so that you can provide the life you want to for your family, you may choose to invest in stock markets or the like, however an option may people have not yet heard of is the Forex market. Its reputation is growing on a daily basis but up until fairly recently, it had been reserved mainly for large corporations, banks and extremely wealthy individuals. Now, however, an average individual is able to get involved in the $3 trillion on average daily action that goes on in the Forex market. You do not have to give up your day job if you do not want to, as it is perfectly possible to trade at any time you want to and you can even set up your own automated trading software to enable you to trade whilst you are at work. However, many people find that they make a lot of money trading the Forex market and so can give up their office job. I would never recommended investing the entirety of your savings, for when first starting out in Forex, it is always best to start out slow, for many people fail in their first year, losing all their money as a result. If you do it right though, you really can begin to afford all the luxury goods you never thought you’d be able to have, even being able to take as much time off as you want and travel the world, trading as you go. The whole idea of trading in the Forex market is to sell and buy up currencies with the idea of making a profit as you go along. Many people will have heard the phrases buy low, sell high and this is the clearest explanation available to explain what goes on in the Forex market. 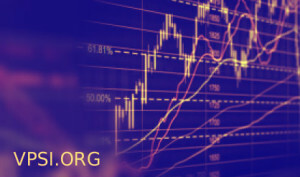 When you learn how to predict market changes and analyse trends, you will find yourself succeeding in making profits on your trading currency, but you cannot do so without a bit of work your end, whether you take the time to enroll on a Forex trading course, or do some kind of Forex trading internships alongside a trading professional. You should try and know as much as you can about trading in the Forex market before making any rash decisions. One fact that you should know about trading currencies is that Forex requires them to be traded in pairs, so whilst you are selling one, you will be buying another. You are able to trade many currencies in the market but there are the more common pairs such as GBP/USD, USD/JPY, USD/GBP and USD/CHF. These are the four most popular pairs of currency and this fact should be taken of notice of for this is where you are more likely to gain a profit. You should also be aware of the fact that Forex is traded on margin, so whilst you have the potential to earn a huge amount, this can be flipped on the reverse where you also have the potential to lose a huge amount. For instance, with a 1 percent margin, 1000 dollars will give you leverage of 1000 dollars which means that the rate of return will be 100% of each percentage change upwards and likewise the loss will be as great if the conditions of the market were to go against you. This is where traders learn how important having a proper Forex trading education is, for the right skills and knowledge are priceless when it comes to trading. Having and accepting the knowledge that there will be losses is also important, for there is bound to be. You should be prepared to lose what you invest and so with this in mind, do not invest the entirety of your savings, for if you lose… you are in big trouble. There are a few options for those just starting out as well as those more experienced traders when it comes to help and advice; for instance there are a number of reputable Forex brokers and analysts that can lend a hand. As well as this, a number of software sites will offer dummy accounts so that you can have a few practices before starting to trade for real. Of course, one of the more popular options is to invest in a Forex trading course, where you can learn a huge amount about the basics of Forex, (which is very beneficial), as well as the more popular methods and newly released software on the market. The best advice that can be given is to make sure that when trading in the Forex market, although you are very likely to make money, it is not without some risk and you are by no means invincible. Make sure you invest what you can afford to lose and be sure to build up your Forex trading account slowly and surely until you have a comfortable balance and can start investing more money and gaining the larger profits. Another option to look into is to become an affiliate for Forex brokers, which you can learn about in the reviews on our homepage. Should new traders use a Forex robot? Forex robots may not be safe for new traders. Forex trading can be one of the best ways to make money from home, allowing you to give up your 9-5 day job and replace it with a far greater quality of life and a much bigger pay check at the end of the month. Of course, this will only be possible if you are able to trade the Forex market effectively whether you are manually trading or using automated Forex trading software. Today we are seeing more people than ever try and make a living in Forex, but sadly the majority of traders lose huge sums of money and give up before the magic can happen. I have been there myself so I know how frustrating it can be when you see losing trade after losing trade with no understanding of where and why it all went wrong. But I was determined to make it work and stuck with it until I was able to trade with confidence and more importantly with success. Today the Forex market gives me a very good and flexible lifestyle and I only need to work for a few hours each day to achieve the level of return I desire. During the last few years the Forex market has grown so quickly and has never seen so many people getting involved, but despite the huge interest it is arguably harder than ever for new Forex traders to be successful. Why is this I hear you ask? The answer is down to the so called Forex guru’s who claim to have the best system, robot or method available. The problem is that most of them do not which, is not to say that all Forex products are a waste of time and money, but the majority of them most definitely are. The difference between success and failure is often going to be whether or not you pick a robot that works, or a Forex course that really does cover the important aspects of trading. If you are new to trading then choosing the best Forex trading robot or course is not going to be easy, given the huge number of products being released each month. So I decided that I would start my own Forex site to help guide newbie traders through a number of products that do work. Of course, I cannot buy and test every product that is released to the market so I will be looking at those that I believe are the better products, testing them for myself and writing my no nonsense reviews here. So why do most Forex trading robots fail? The major flaw with most robots is the fact that they cannot predict what will happen in an ever changing and highly volatile market. They are each designed in a precise way with specific preset instructions and rules and cannot adapt if market conditions change. When they are first released they will often make winning trades as the market is the same or very similar to the market they were tested in and designed for, but as the market changes the robots keep applying the same rules and end up losing more trades than they win. What makes a successful robot? The first thing I look for when reviewing a new Forex trading robot is whether or not the software will be updated by the developers. This is so important. As I have already mentioned, the Forex market can change very suddenly and robots need to be able to adapt to keep up with these changes in order to continue trading effectively. Software updates are an indication that the creators will be around for sometime so you can be sure that they want to get it right. Some product owners will release a product to make a load of quick money, then disappear leaving their customers on their own with a piece of software that doesn’t work. Some of the better robots are owned by people who not only send free updates but also hold free webinars to discuss various strategies and settings they use with their robot. It is also imperative that you only ever look at robots that show you live results. Designing a robot that works well on back testing is not difficult, for when you know what happened in yesterday’s market it’s very easy to predict. We can all win huge amounts of money betting on horses when the race was run yesterday as we know the winner, so why would we trust people who show us how their robot performs in old market conditions? In summary the three main points to look at when deciding on a new Forex trading robot are: regular software updates, customer support and live trading results. Forex trading courses are another investment you can make if you are serious about becoming a full time trader – for me this is a better investment than buying a robot. While I do use robots I believe that you should know exactly how things work if you want to trade full time. It is too risky to try and make a living in an industry that you know nothing about. Education is vital if you want to be a successful trader. I started with robots, lost money left right and center and decided to enroll in a Forex trading course to learn how to trade for myself. Initially I was worried that Forex was too complicated for me to learn and would take too much time out of my day, but I was totally wrong. You can find courses that are laid out so well that you cannot fail to learn quickly and easily with help from well written step by step instructions and guides. We would recommend FAP Turbo if you’re interested in checking out the state of the art robots today. The cost of such courses are a lot more than your average robot but you are normally offered a payment plan to help spread the cost over a period of 3 to 6 months. When I first bought in I opted for a 3 month payment plan and actually paid for more than half the cost of the course using money I made using knowledge that I had gained from the course. In addition to the Forex broker reviews and reviews of FX affiliate programmes on this site you can also find lots of helpful Forex information covering everything from the basics of the Forex market through to some of the more advanced trading methods used by the pros. Learn everything from technical analysis and who the best Forex brokers are, as well as lots of other Forex news to help traders be successful at online Forex trading. I will even be sharing some of my favourite Forex strategies.